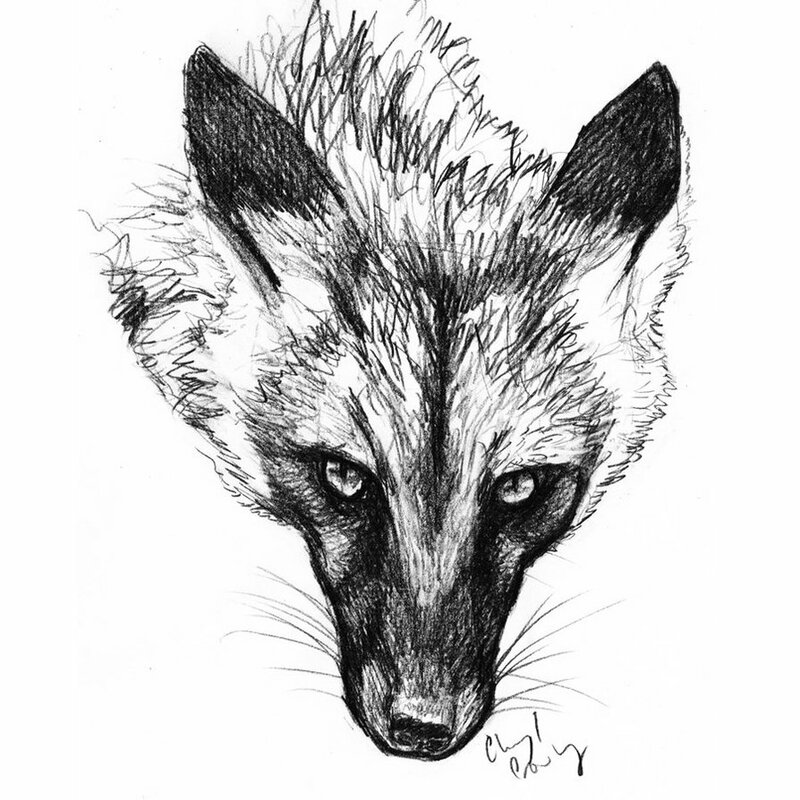 This was a sketch of a fox I made that I was going to use as an avatar. I haven’t used it, but I still think it is nice on it’s own. It is a cross fox, which is a variation of the red fox. They are my favorite. Unfortunately, the image is not in color so I can’t show the beautiful reddish orange (ochre) color around the ears. Maybe I’ll colorize this in Photoshop at some point. I do love creating the intensity and “aliveness” with the animals I draw.